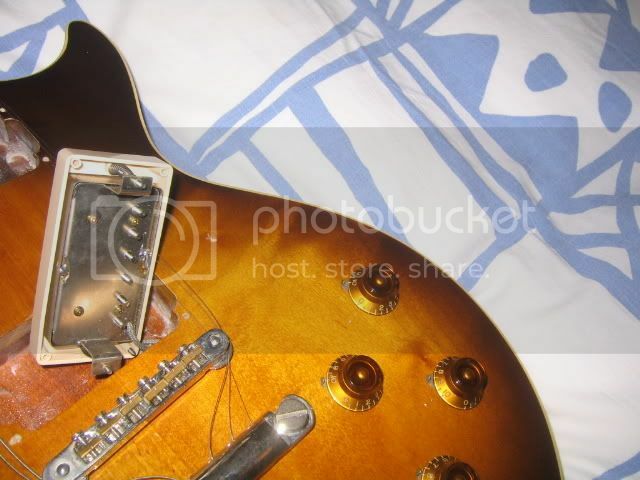 Tokai Forum - a subsidiary of TokaiRegistry.com :: View topic - Orville by Gibson what model? 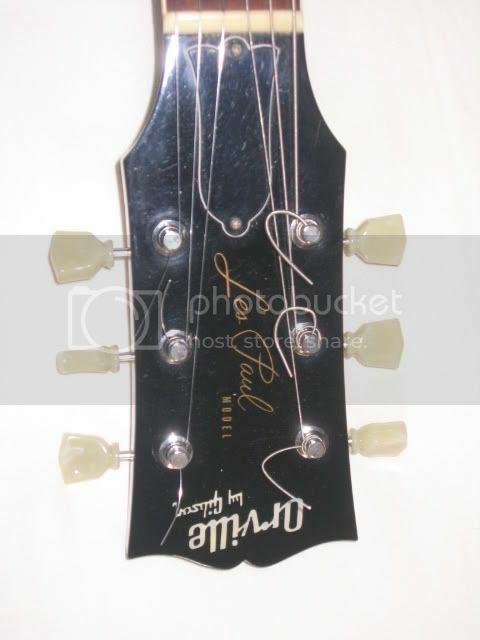 Orville by Gibson what model? 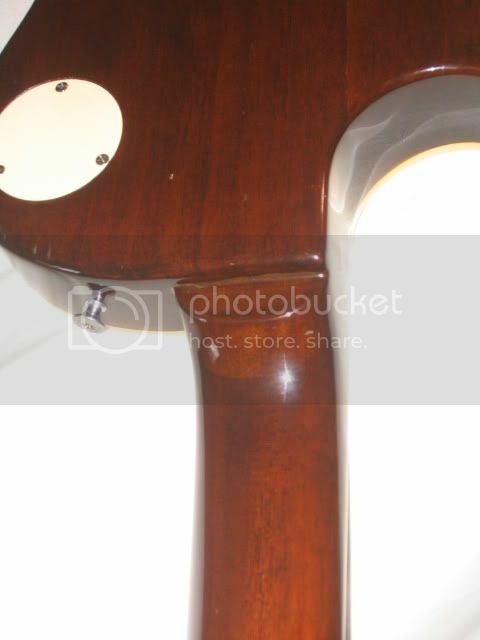 Posted: Sun Oct 14, 2007 12:57 pm Post subject: Orville by Gibson what model? Posted: Sun Oct 14, 2007 6:18 pm Post subject: Orville by Gibson what model? The serial number indicates that your guitar is an '89 OBG LPS (Orville by Gibson Les Paul Standard FS) plaintop brownburst. 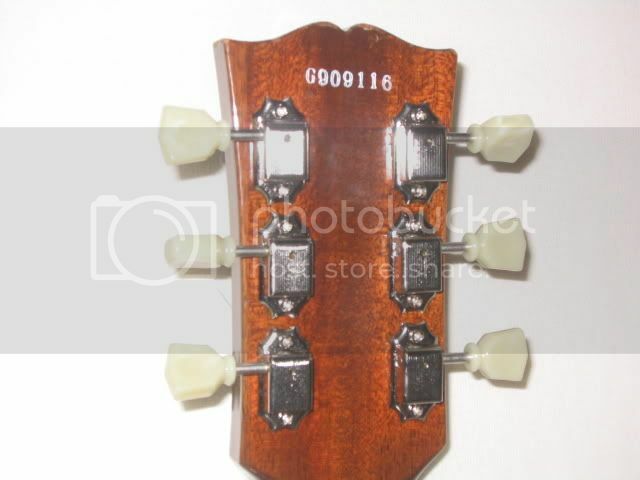 The original truss rod cover should have said, "Standard" on it. I'd have to see the insides to see what you're talking about pickups but the original's should have said, "Gibson USA" stamped on them. All Orville by Gibsons were MIJ either by FujiGen or Terada and no where else. Click on my signature below if you want to see a bunch more. So all ObG pups have some kind of manufacturer's name on them? The pups don't look new - if they were switched out it was either long ago or for older pups but there it is. Could they be Gibson without the writing on them? Anyhow they sound good. .....and they look kinda-like a circuit board on some of the OBG LPCs but they're still USA Gibson. As many of these OBGs as I've had, I have seen a number of exceptions to what's considered to be common knowledge but what I've showed you is what I personally know about them. Hey Innadaze - thanks for your input.. Can you tell me what FS stands for? And do you ( or anyone else) know if there is a model# for my ObG? 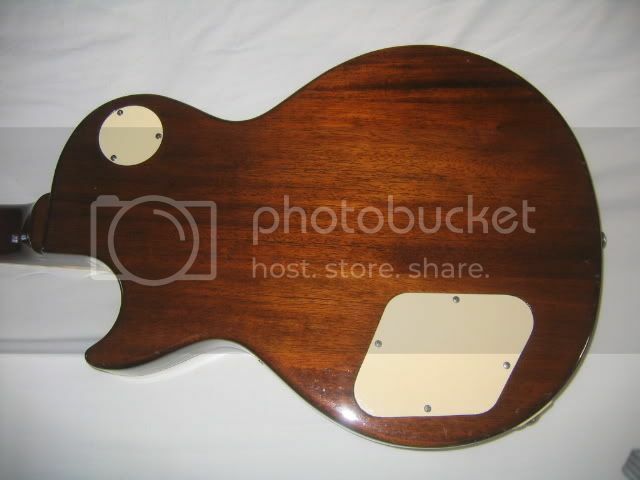 I'd like to know about the pickups - they put out a really nice sound. But I don't know how they would stack up to a Gibson LP. Alright, it's a 1989 made in Japan by Terada Orville by Gibson with a medium tenon and someone has changed the pickups before you bought it and please stop with all the Korean stuff or there will be Orville by Gibson Korean rumors starting . 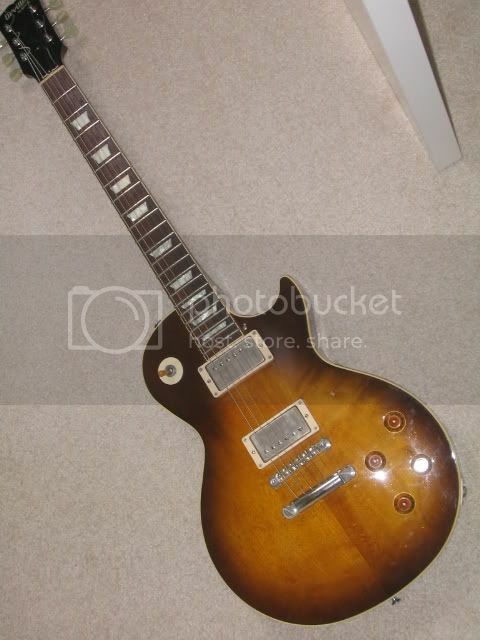 The 'model number' is "Les Paul Standard" or "LPS 59" (although some were LPS 57). It's supposed to be a replica of '59 Gibson LP. Supposedly they used the original blueprint/specs of the old LPs to create the Orville By Gibsons. FS (referring to a Les Paul) means "Finish Sunburst." CS means "Cherry Sunburst" and VS means "Vintage Sunburst" but there are also other variations on the Sunburst finishes such as "HD" "HS" and "LD." The entire last page of one of the OBG catalogs I have has a list of finishes for nearly all the models and their designations. One of these days I'll get around to posting all that stuff on my website but until then look here?.. What kind of Gibson pups should I look for then? and is there much difference between those that are vintage and those that are new? If whatever's in there now sounds good to you, that's all you need. SD's sound really good and there are as many other pickups (and what others will say about them and why they like them) as there are stars in the sky. I like the Gibson PAFs because they have a nice roll-off and break-up for the way that I play but that's just me. It's all personal taste and the way you like to sound and maybe the wood of your guitar is made out of. I'm not crazy about them but on certain songs a hot set of single-coils can really sound good and you can roll-off the treble if you want them to muddy up but I've got half-a-dozen Teles with humbuckers on them which I love the sound of. On a Les Paul though, in addition to what I mentioned above, I really like a good-quality humbucker that separates all the strings when you want it to and then roars like a hurricane when you hit it hard. I know there are a jillion other guys around who'll tell you what to get if you want to swap them out. i didn't know that any of the ObG had a glued on neck heel. This is a HUGE cost saving feature, as it allows them to make 2 necks from the same piece of wood. Is it rare for an ObG to have a glued on neck heel? or is it standard? 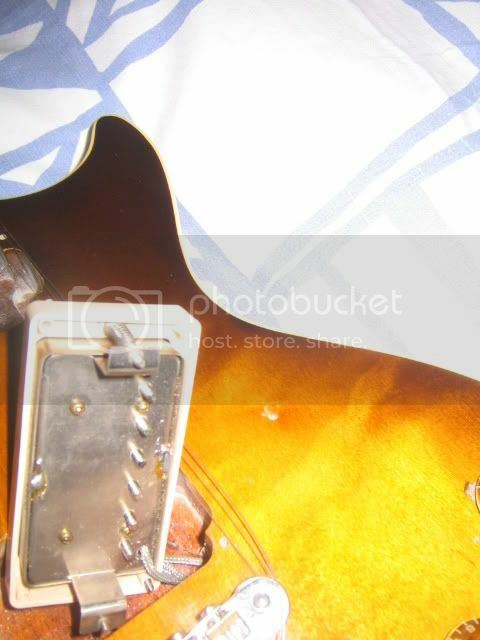 I've seen quite a few Terada G serial OBG's and Terada K Orvilles with a separate neck heel. It depends on the price of the OBG. The higher priced OBG's are less likely to have it. I don't think any of the Fujigen OBG's (no G letter) have a separate neck heel. Terada were doing separate neck heels on some lower priced OBG's but Fujigen weren't. The Terada G serial OBG's separate neck heels are identical in design to the Terada K Orville neck heels. Not all Terada K Orvilles have separate neck heels, only some. The Terada G serial OBG's and the K Orvilles have the same bodies and necks and tenons. Terada were deciding on the guitar either being a OBG or a K Orville and then stamped the OBG with a serial and left the K Orvilles with no serial. That's why the G serial OBG LP's etc have identical features to the K Orvilles. So you could get a K Orville that was good enough to be a G serial OBG except for some minor issue and vice versa you could get a lower priced G serial OBG that's more like a K Orville. The K Orvilles are a bit of a hit and miss. You could get an absolute gem or you might get a bit of a lemon. 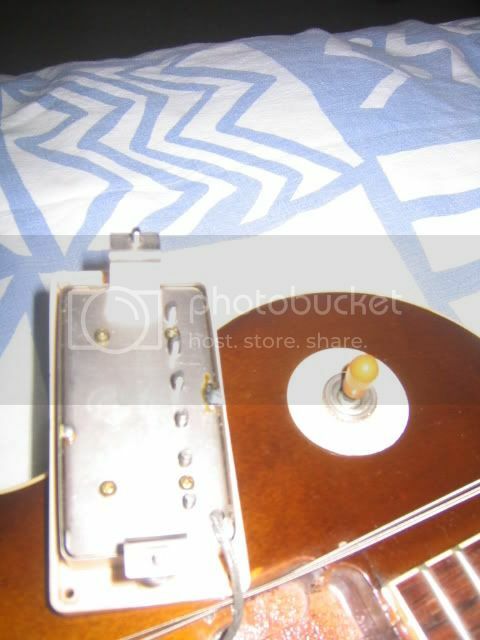 1st of all, I'm not an Orville expert (nor an expert of any japanese brand ) but I know that at least from 87-89 Gibson used so called "R" pickups invented by Bill Lawrence (aka Billy Lorento aka Willi Lorenz Stich ) which are the ones mentioned above as pups with a "circuit board". 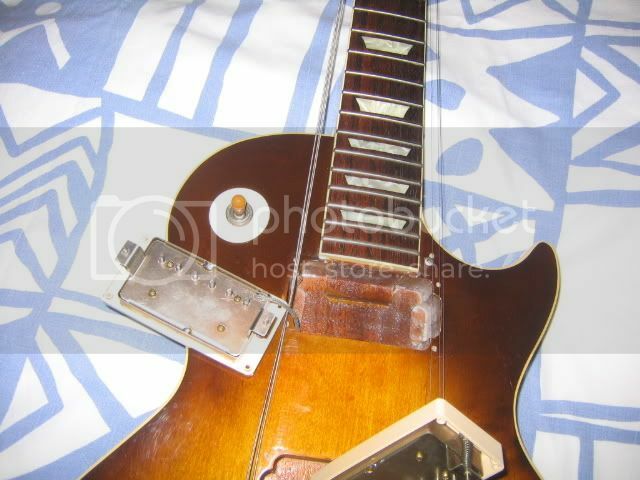 Most(but not all) of the 88 and 89 Gibson Les Paul Standards and Customs I have seen have these pickups.